APMA president is confident, but cognizant of the changing marketplace. 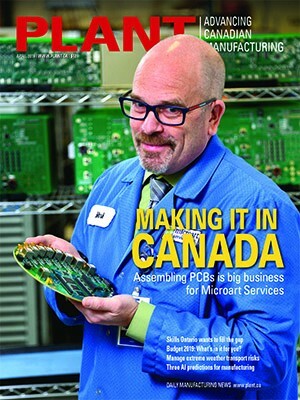 PLANT’s assistant editor, Matt Powell, sat down with APMA president Steve Rodgers to discuss the Canadian auto parts business and what lies ahead. Describe the current state of affairs in auto parts manufacturing. Volumes are great, suppliers are running at or near capacity, and they’re going to have to expand. This is a good time and most of our members are profitable. That is likely to continue for the next two years. The downside is the huge focus on logistics and huge pressure to move operations stateside. The US recovery is also playing a role and as it continues, they’re offering huge incentives to encourage onshoring. Factors in Canada such as the big exchange rate and high power costs will continue to leave us a little bit less competitive and there are no new investments in assembly or powertrain facilities coming, so that’s a concern over the next few years. How are environmental challenges going to hit the sector? What needs to happen? In the short term, it’s much more about meeting OEM requirements. We’re starting again to see, with more and more global platforms, companies sourcing off big chunks of business. But it’s not just business in NAFTA, it’s also a vehicle that’s being build in Europe and China, therefore only the biggest suppliers with global capabilities are able to compete for that kind of business. Some Tier 1 suppliers will have to become Tier 2 suppliers to support those activities. What kind of future do you see in automotive investment in Canada? We lose the Camaro in 2015, and I wouldn’t say that the North American OEMs are trying to move out because the facilities we have are stable. It’s more about what we need to do to attract investment. It’s something we’re focused on, something that Industry Canada is focused on, and there are a number of activities underway to see what we can do to leverage free trade deals to get investment in Canada. What does the government need to do to attract automotive investment? There needs to be some funding available to support investment. There are also some infrastructure issues that need to be cleared up. Companies look at things as minute as how many steps it will take to get a building permit. It even comes down to looking at school absenteeism in a particular community. In Mexico right now, getting a building permit is a single step process, which is not the case in Canada. That’s not to say there’s any less steps, but they have organizations that will make that happen. We need to look at power costs, and harmonize federal and provincial regulations. It comes down to an attitude dedicated to being productive and ensuring we’re able to handle potential investment when companies come calling. How about the new union, Unifor: do you foresee any issues with their restructuring in the near future? We don’t see any issues in the short term. The CAW has a very good idea of what the automotive situation is in Canada. But over the longer term, our fear is that they may be willing to sacrifice the automotive side of the house because they see that as the least future opportunity. So if they want to demonstrate a hardline stance, they’d go that route because automotive represents a small percentage of overall membership. Obviously we’re worried about those kinds of situations in the long term because they could become more political and not so much focused on specific automotive jobs and opportunities. Bo Andersson (CEO, GAZ Group) made a massive Russian auto manufacturer that was billion of dollars in the hole profitable again in less than five years. Would his militant, abrasive leadership style work in a Canadian automotive environment? It would. Bo looked after his people. He gave them raises. He hasn’t asked for wage cut backs and he made it about productivity. He got everyone to buy into the program. Everybody from the dealer body to the employees had to be on board to make it work. He took a facility that was losing massive amounts of money and made it profitable because he focused on the people and making sure he was producing a good product by being involved in all functions of the organization. That’s the kind of situation we need here. Reid Bigland (CEO, Chrysler Canada) focused on the rebranding and rejuvenation of Chrysler in his keynote speech. What led to Chrysler’s comeback, including their doubled sales figures in the last four years? It’s very simple: hands on, value driven. When (CEO Sergio) Marchionne came in, the company was built on more of a hierarchal structure. Management was up on higher floors, not driving the vehicles themselves. They didn’t understand the vehicles and that’s why they performed so badly. But when Marchionne moved downstairs and became more accessible, things started to happen. The same thing happened at GM with Bob Lutz. These guys got right in there and when they needed to make a decision they could do it quickly. Is flattening the organization the kind of advice you’d give to any business in this industry? 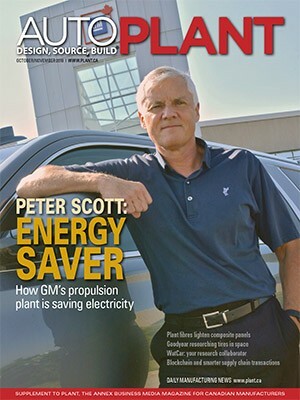 This article appears in the July/August 2013 edition of PLANT.